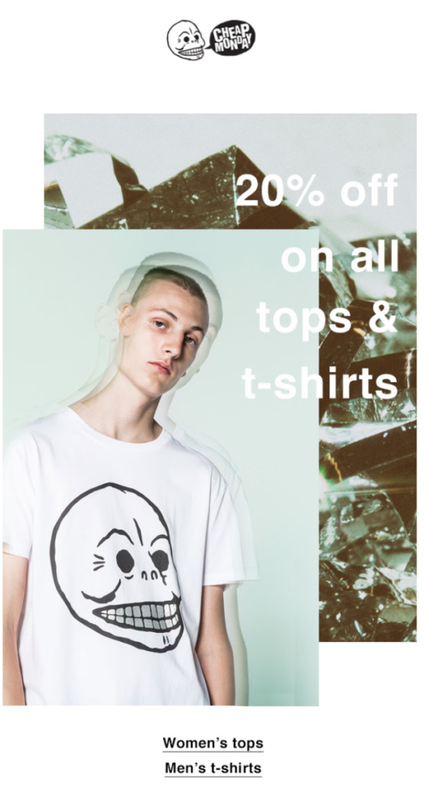 Cheap Monday - 20% off all tops & t-shirts. To get you even in a better weekend mood there's a new great offer for you. While you're at it, share your favourite song on our feed board, help us spread the good vibes!